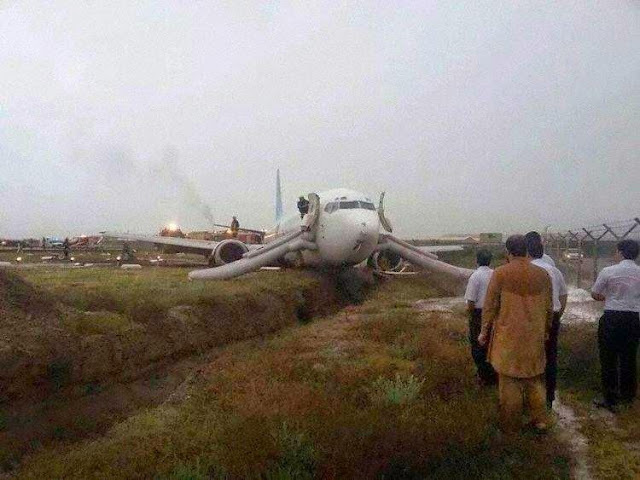 An Ariana Afghan Airlines Boeing 737-400, registration YA-PIB performing flight FG-312 from Delhi (India) to Kabul (Afghanistan) with 130 passengers, landed on Kabul’s wet runway 29 at about 17:05L (12:35Z) but overran the end of the runway, went through the localizer and came to a stop with all gear collapsed about 285 meters/930 feet past the end of the runway. The aircraft was evacuated. No injuries are being reported, the aircraft sustained substantial damage however. According to Associated Press quoting the head of Kabul Airport, Mr. Yaquob Rasouli, there were no injuries and the aircraft sustained no damage. 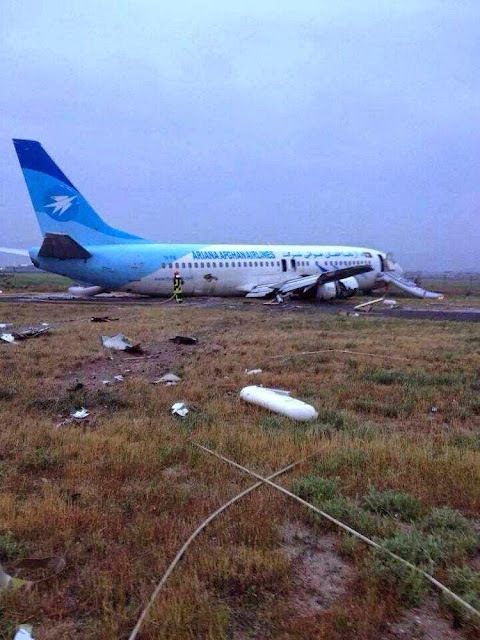 Kabul Airport Police reported there were no injuries, an investigation has been opened into the accident, that occurred at around 5pm local time while arriving from Delhi.